Dennis JD Sandole is a Professor of Conflict Resolution and International Relations at the Institute for Conflict Analysis and Resolution (ICAR), at George Mason University. He received his PhD in Politics at the University of Strathclyde, Glasgow, Scotland, in 1979, where he was research assistant to Professor Richard Rose. He has been a William C. Foster Fellow as Visiting Scholar with the U.S. Arms Control and Disarmament Agency (ACDA), a member of the US Delegation to the CSBMs negotiations in Vienna, Austria; a NATO Research Fellow, a Fulbright OSCE Regional Research Scholar, and an OSCE "Researcher in Residence" Fulbright scholar at the Diplomatic Academy in Vienna, Austria. 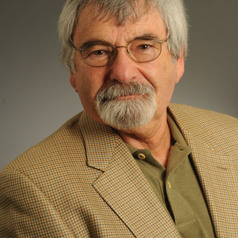 His publications include Conflict Management and Problem Solving: Interpersonal to International Applications (1987); Conflict Resolution Theory and Practice: Integration and Application (1993); and Capturing the Complexity of Conflict: Dealing with Violent Ethnic Conflicts of the Post-War Era (1999).